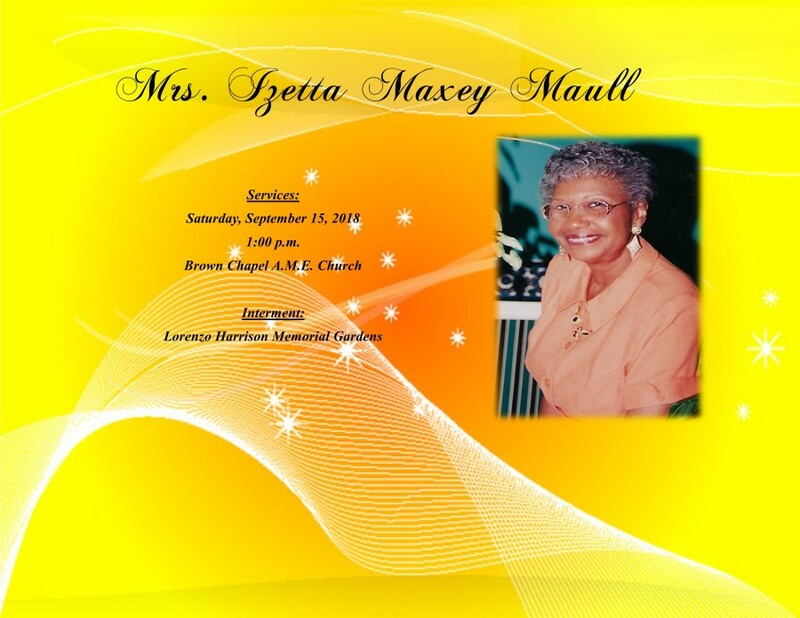 Mrs. Izetta Maxey Maull, 89, of Selma, Alabama transitioned into her heavenly home on September 7, 2018. Services will be held on Saturday, September 15, 2018, at Brown Chapel A.M.E. Church at 1:00 p.m. with Rev. Leodis Strong, officiating. Interment will follow immediately in Lorenzo Harrison Memorial Gardens. Ashley's JH Williams and Sons Funeral Home compassionate and courteous staff humbly thanks the Maull Family for selecting our firm for the care of their loved one in her final rites of passage.